Joseph Kony, the leader of Central Africa's militant/terrorist child-kidnapping group "Lord's Resistance Army." Chances are you or someone you know was responsible for one of the 100+ million views of the video "KONY 2012" on Vimeo and YouTube. 100+ million views in six days -- beating, according to audience data service Visible Measures, Lady Gaga's "Bad Romance," video which took 18 days to reach that number. The video created a viral sensation and instant fame for the Non-Profit that was responsible for its creation "Invisible Children." Rihanna, Justin Bieber, Diddy and of course the Kardashian sisters, among many others, tweeted their support, and Invisible Children processed 500,000 orders for their $30 activation kit. Jason Russell, who ran Invisible Children and was responsible for the video, was a media darling and traveled the world giving interviews and raising money. And then it all crashed. Critics questioned their methods and motivation; conspiracy theorists accused them of fraud, and it became clear that they were neither experts in African politics or NGO activities. Russell had a nervous breakdown and, although still quietly in operation, they have gone from a high of $27 million in revenue to $4+ million today and have basically halved their operations. 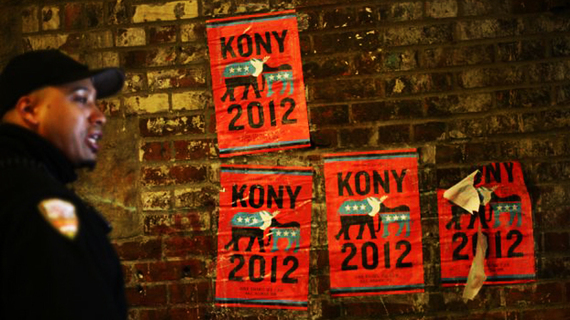 Most of the viewers of that historic viral video, KONY 2012, have long forgotten him. And Joseph Kony is still running around Africa, as are many other terrorists of his ilk. Now, I am sure that you remember the more than 250 Nigerian girls kidnapped by Islamic extremist group Boko Haram. And no doubt you saw -- somewhere -- the picture of First Lady Michelle Obama tweeting a #BringBackOurGirls message that received 58,000 retweets, adding to the 2 million-plus retweets that the hashtag received in total. I guess that 250 kidnapped girls was not as exciting a story as a video, so 100 million views becomes 2 million retweets -- but at the end of the day the outcome is the same -- Kony is still out there and sadly, so are the girls. All of which brings me to the recent cold-blooded murder of three kidnapped Israeli teenagers whom all of the social media activation in the world did nothing to save and is too new and raw to forget yet. We talk about community with almost religious reverence as we hype our digital networks for monetization. The Digibabble is never ending as we talk about our ability to connect -- to anyone... anywhere... anytime. "To get everyone in the world connected." "To strengthen how people relate to each other." "We are extending people's capacity to build and maintain relationships." "A network built from the bottom up or peer to peer." So where were the peers who had seen the teens -- all four of them -- or heard of their abduction? Why hadn't they cried out and connected? Where are the peers who know where the kidnapped girls were being held? Why aren't they sharing and helping? Where are the peers who know where Kony is hiding? Why aren't they connecting and screaming his whereabouts? It's bad enough that we allow ourselves off the action hook with a hashtag and a share or two -- but I would like to think -- I hope and pray -- that many of us, most of us, would be on the action side of helping -- of clicking and shouting if we were given the chance -- understanding that part of the covenant of this truly connected social world is to use that power to change it for the better... not to passively allow it to get worse while we tweet our protests. Seems to me that if we really want to change the world -- not just make our shopping experiences better -- it's time to reframe our notion of community. Community was once a place of action linked to emotion -- a powerful hub and spoke of social change. Nowadays anyone on a compiled data file can be considered to be part of a community. How the mighty have fallen. We can change the world -- but not if we click and forget.